Former Atletico Madrid ball boy Alvaro Morata is excited to live a childhood dream after joining the club on an 18-month loan deal from Chelsea despite having played at Real Madrid. Craig Burley breaks down what Gonzalo Higuain will offer Chelsea that Alvaro Morata couldn’t during his time at Stamford Bridge. Alvaro Morata has insisted that joining boyhood club Atletico Madrid on loan from Chelsea was a “very easy” decision despite reported interest from Barcelona and Bayern Munich. Morata, 26, is hoping to restart his career back at home in the Spanish capital after an unsuccessful 18 months at Stamford Bridge following his £60 million move from Real Madrid. 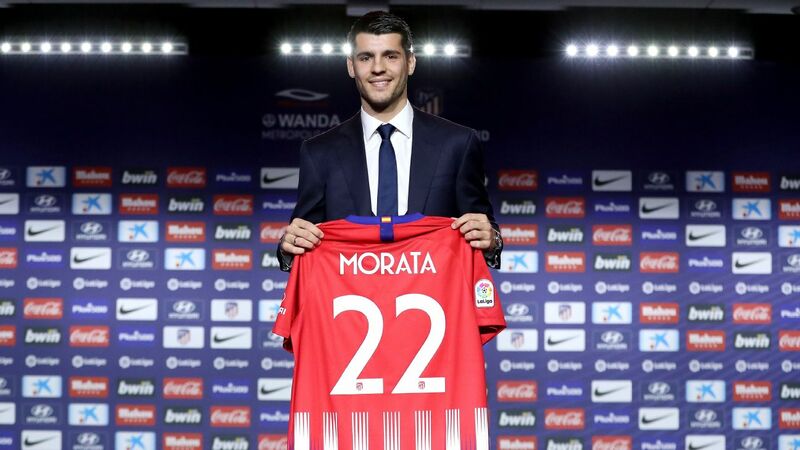 A brief presentation ceremony at the Wanda Metropolitano had a heavy emphasis on his time at Atletico as a youth player between the ages of 11 and 14, with the words “Chelsea” and “Real” both going unmentioned. “It was very easy, everything stopped when my agent told me this possibility,” Morata responded when asked why he had turned down interest from Barca and Bayern. “If I am here, it is because I want to be here, which is the most important. I feel part of this club again. Morata will now battle with Diego Costa for a place alongside Antoine Griezmann in the Atletico attack, with the two centre-forwards never having shared a pitch together despite being regular Spain squad members over the last four years. Morata’s likely first two games as an Atletico player at the Wanda will be Feb. 9’s derbi against Real Madrid — the club where he won two La Liga and two Champions League trophies — and then Feb. 20’s Champions League round-of-16 first leg against Juventus, where he won two Serie A titles.